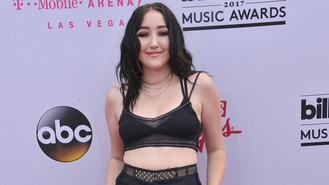 The singer, daughter of country musician Billy Ray Cyrus and popstar Miley’s younger sibling, recently entered the music business with her debut single Stay Together. While Noah understands her music will be compared to that of her famous family members, she intends to become a standalone star in the future. "I’m doing my thing, and Miley’s doing hers,” she told Billboard magazine. "I’ve always wanted to be my own person. Even when I was ‘Noah who rode horses,’ I wanted to be Noah Cyrus, not anyone else or a family member." The 17-year-old made her official debut on the pop scene when she performed Stay Together at the MTV Movie & TV Awards in early May (17). Dressed in a white tracksuit, black mesh top and black boots, Noah rocked the stage alongside several backing dancers. However, she admits that she has a way to go when it comes to perfecting her dance moves. "I had so much fun, but I am not a dancer. It was the first time I worked with a choreographer, and I was out of my comfort zone. I’m still testing the waters a little bit every time I go onstage," she shared. Noah's first studio album, titled NC-17, is due to hit shelves later in the year, and features a track with British artist Labrinth. And the rising talent explains that while she wants to form a different persona from her sister, she still respects Miley's exuberant performance style. "I’ve been figuring out who I am as an artist. If I could borrow anything from Miley, it would be her stage confidence. For me, that’s just going to come with time," she added.